When Alichia McCarthy completed high school at Corner Brook Regional High in 2013, she knew she wanted a career that was both challenging and dynamic. She wanted to work with her hands, not in an office. She had no idea what career she should pursue, the possibilities were overwhelming. That’s when she decided to meet with a Career Development Coordinator (CDC) with WRDC. She participated in one-on-one career counselling and attended a college tour with one of the Orientation to Trades and Technology (OTT) classes. She toured the College of the North Atlantic (CNA) Port aux Basques campus and was introduced to a variety of trades and technology programs. One program stood out from the rest, the Non-Destructive Testing Technician (NDT) program. A light bulb went off – this was the program for her! She applied to the NDT program and was accepted. She worked hard, graduated the program, and was determined to find her dream job, even when the economy was in a downturn. This didn’t discourage Alichia. With the support and encouragement of her career counsellor, she began her job search, knocking on company doors and requesting meetings to present her resume. 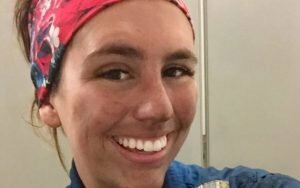 Her drive and eagerness to succeed landed Alichia a job offer with Acuren Industrial Services in Fort McMurray, Alberta. She accepted the job as a NDT trainee and was thrilled to start the next chapter in her life! With just one year of work experience, Alichia has already obtained a number of technical certifications and is currently working towards more. What’s next for Alichia? Her long-term career goal is to be a NDT Visual Inspector. With her drive and dedication, we know she’ll achieve anything she sets her mind to!